Despite our Michigan travel blog being up for less than two months, I was invited to attend the media preview event at the Michigan Sea Life Aquarium in Auburn Hills on Thursday. This event took place one full week before the highly anticipated grand opening. My wife and I attended with our two children (ages 2 ½ and 8 months) and they absolutely loved it. One common theme in the pictures that featured my 2 ½ year old son was his huge smile. He absolutely loved the aquarium and could not stop talking about it on the way home. 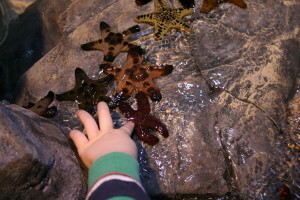 The aquarium is located inside Great Lakes Crossing Mall. You will want to come into the mall via Entrance 7, the same one for Rainforest Cafe. 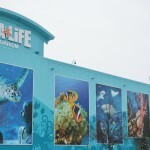 The aquarium can be viewed from outside the mall thanks to its bright blue color and numerous pictures of sea life. Traveling around the aquarium and the various tanks of aquatic sea life took just over an hour. The company’s website lists a time of 60 to 90 minutes to fully enjoy a tour. Now the nice thing about the visit is you can go through more than once, which I would recommend for children, especially on your first visit. 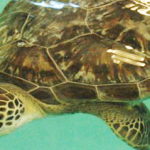 Sea Life has a wide assortment of aquatic life like Blacktip Reef Sharks, Sea Urchins, Shrimp, a Giant Pacific Octopus, and numerous Cownose Rays. My oldest son loved the Cownose Rays, as they are not shy at all and will swim right up to the edge of the glass and appear to smile at you. Several areas have pop ups or viewing windows where you can get super close to the animals, a fun experience for the kids. We tried to get pictures of these unique viewing areas to show off the up close experience your kids will have. 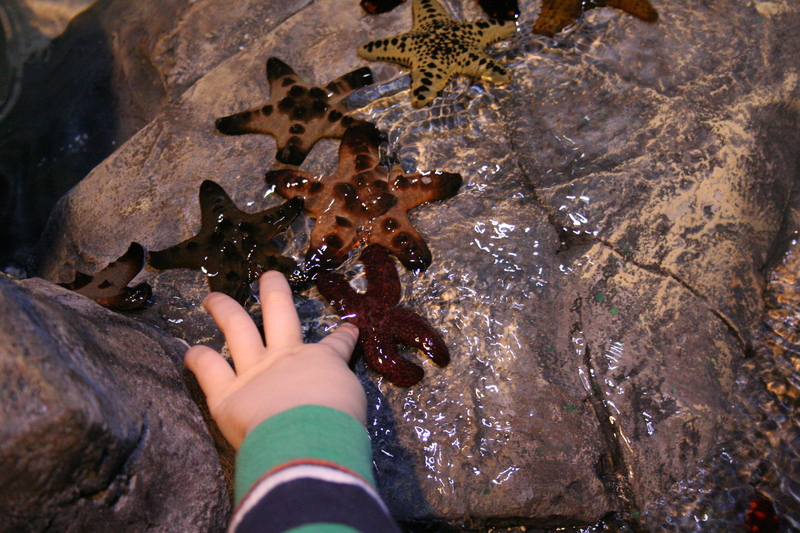 Another big highlight and sure to be a fan favorite is the Touch Area, where visitors can touch a variety of sea life. This exhibit featured a horseshoe crab, sea stars, sea urchins, and decorative crabs. This area is pretty cool since you can touch everything in the water, as long as you don’t remove the animals from the water. One item we noticed that parents should consider is accessories. We brought in our double stroller for both boys and it seemed in the way in several areas. We would recommend umbrella strollers and any babywear to provide better access to the tanks and a smaller chance of being in other people’s way. Two more things for parents to remember. The aquarium ends in two spots that you may want to limit your children to or avoid all together, a play place and gift shop. The play area was pretty easily avoidable, looks sort of like an old school McDonald’s play area. The gift shop however is pretty much unavoidable, as it is the way to exit the building. We walked around in the gift shop for a little while. Lots of plush animals in various sizes. 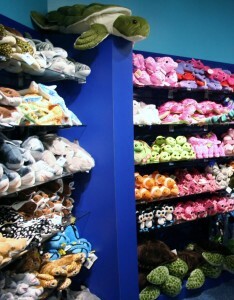 Prices for plush animals were pretty reasonable at $8 for smalls and $18 for a medium size. Other small items were priced at around $5. 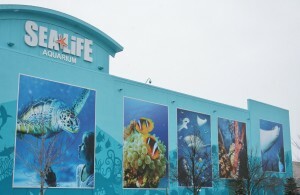 One thing we were told during the visit is the pre-sale discounted tickets will be sold on the Sea Life website up until Thursday’s grand opening. Keep in mind, that you save $6 per adult ticket and $1 per kid ticket if using the presale. Also if you were thinking of getting an annual pass at all, the pre-sale would be the time to go, as you can save $30 off of a family of four membership. 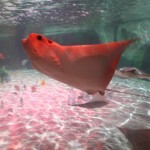 These admission prices are good for all day, so if you want to visit the aquarium and then go get lunch or shop in the Great Lakes Crossings Mall, you can come back after on the same admission price. We could have gone through the attraction again, had we not been pressed for time. Another thing to keep in mind too is online tickets have been discounted later on down the road for other Sea Life locations in other states, meaning these prices may not be officially set in stone. We fall into a certain type of Michigan residents, as we are about the same distance from Chicago as we are Detroit. This means travel time is not a huge issue when comparing the difference between the two destinations. 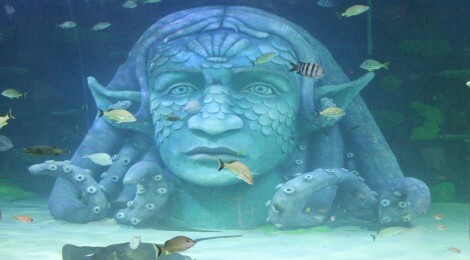 Honestly, I think Sea Life has done a great job and this attraction will be enjoyed by families and children. The entire building is laid out with children in mind, with numerous tunnels, pocket viewers, and interactive items to keep kids entertained and close to the action. 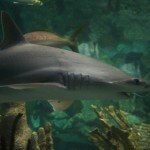 Shedd has more animals (a lot more), but doesn’t have the same type of up close experience. If you’re planning a trip to Chicago or live close by, Shedd is an absolute must. Most Michigan residents should be more than pleased with this acceptable backup. 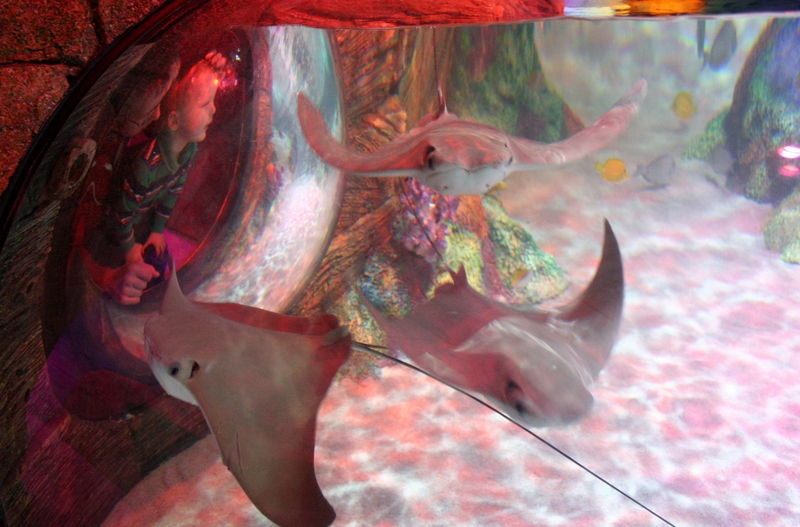 The other nice thing about Sea Life in Michigan is its close proximity to other possible vacation or day trip destinations (See our list). The aquarium entrance is inside Great Lakes Crossing Mall, the largest outlet mall in the state. Other destinations close by and inside the mall could make a day or weekend out of a visit to Auburn Hills. More on that to come in a following article. If you get a chance to check out this wonderful attraction our great Mitten State has to offer, please comment below with your thoughts and reactions.